Chennai-based aftermarket solutions provider, which is among India’s leading players in the passenger and commercial vehicle servicing sector, sets up dedicated two-wheeler division to capture the opportunity that lies in the existing unorganised market. Vehicles across segments function optimally when they are zealously maintained and serviced. And when they do what they are supposed to do without a hiccup, they deliver customer satisfaction in spades. However, that’s easier than said in a market like India, where owner connect with the vehicle is few and far between. By 2021, the passenger vehicle parc in India is likely to reach 35.6 million units, growing at a CAGR of 7.9 percent. And with over 20 million two-wheelers sold in FY2018, at a growth rate of 15 percent, the market remains a huge opportunity for service providers. While there are a few organised players in the passenger car and commercial vehicle service industry, the two-wheeler market is largely catered by local garages other than a minuscule few organised operators. Spotting a big business opportunity in this sector, the Chennai-based Lucas Indian Service (LIS), which is one of the largest organised players in the aftermarket in India, aims to provide quality services to Indian two-wheelers users across the country. LIS, whose product portfolio comprises auto electrical, diesel fuel injection equipment, batteries, lubricating oils and filters, has four regional offices, three central warehouses and 29 stock points. 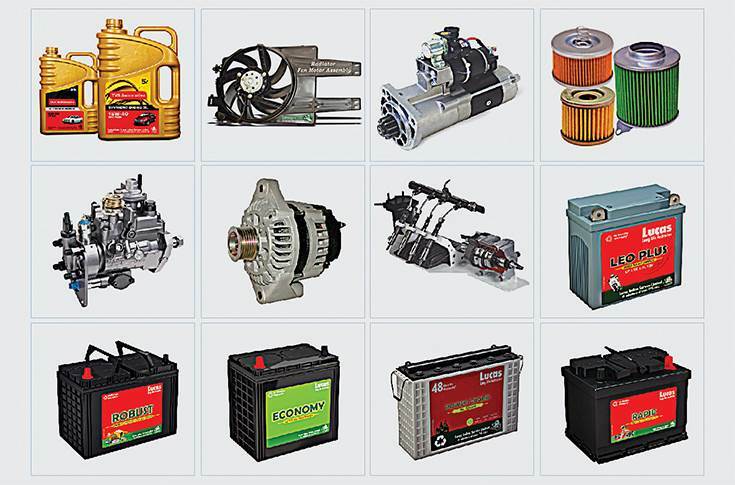 It operates 20 company-owned workshops, a dedicated network of over 150 distributors, 2,000 dealers, more than 550 service dealers, 15,000 retailers, and 30,000 registered auto electricians and mechanics in 1,360 towns and cities across India. At present, the passenger car and heavy commercial vehicle segments are significant contributors to LIS’ topline. While the company remains committed to these two major sectors where the trade is largely organised with a well-established network and supply chain, it has now turned its attention to the two-wheeler servicing business. So much so that LIS has recently set up a brand-new business vertical simply to focus on the fast-growing two-wheeler aftermarket business. The decision to establish a separate division came after the company judiciously studied the two-wheeler market in 2017 to understand the real-world situation. LIS' services for starter motors includes diagnosis, repair, and testing of parts like solenoid switches, armature, brushes assembly, pinion drive assembly and field coils. Compared to a car or a truck, servicing a two-wheeler is a very different operation. What LIS says is that generally, other than a small population of aficionados, end-user knowledge of the product is extremely low in India. However, LIS sees this as an opportunity to educate the customer, provide genuine products to retailers and expand the network through which, it believes, can bring about a significant change in the quality of service. In comparison, the tractor business is a seasonal one and limited to certain parts of the country. LIS though recognises the segment’s need for genuine parts and a better service experience. “We are highly bullish on the two-wheeler segment, we are doing extremely well and aim to grow rapidly. We have just started and our two-wheelers’ vertical will need 2-3 years to achieve the necessary scale,” says Muralidharan. While the two-wheeler and tractor business offer promise, the company sees the traditional aftermarket business in India undergoing phenomenal change on multiple levels, with both opportunities and challenges alike. With an increasing level of electronic componentry in vehicles and also technological complexities, the need for organised players to service vehicles is high. Unorganised garages lack training and diagnostic capabilities. There’s also the need for GST billing, new technology which is largely digital, and other changes which are likely to impact the entire automotive aftermarket value chain, coupled with upcoming megatrends such as electrification, connected vehicles and AI. “At the lowest level of the value chain, there are garages which are most affected by all this change. 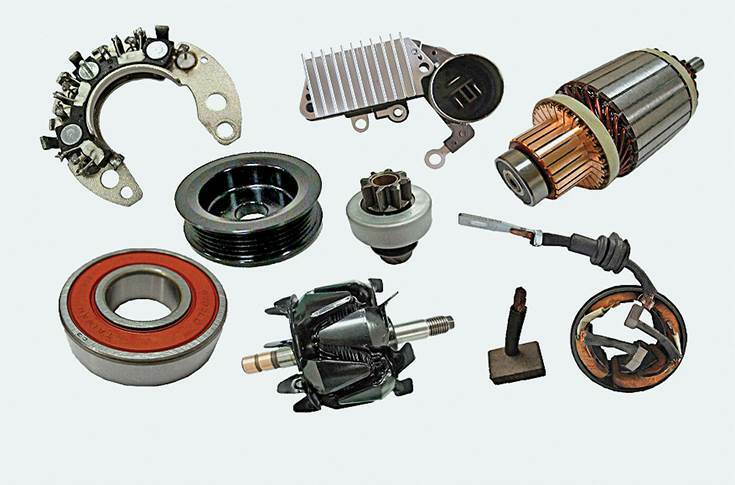 Gone are the days when a small repair workshop would be able to repair a starter-alternator or charge a battery. Today, a person cannot survive without GST registration as he is going to lose too much money,” says Muralidharan. An expansive product portfolio for varied vehicle segments. Over the past few years, bigger garages catering to cars and SUVs have equipped themselves with diagnostic tools that zero in on a problem without having to resort to guesswork. Industry experts believe that down the line, there could be some consolidation of small garages, electricians and workshops with such types of larger garages. Muralidharan, an industry veteran, clearly foresees a radical shift in the next decade. He believes EVs will have a say in the overall mobility scenario and, like their fossil-fueled siblings, will need servicing too albeit on a much lower scale because the number of components is much lower. He views both BS-IV and BS VI as a challenge in terms of training its huge service network; it's not easy for a nuts-and-bolts person to suddenly shift gear to common-rail which relies on electronics and the electro-mechanical equipment which needs diagnostic tools. Furthermore, BS VI calls for training in EGR and SCR. Training this large population of workers in underqualified garages in India is an onerous task, which LIS is addressing. “We are reasonably well prepared, both on not just on-the-spot training but by digital, online training, any number of programs and multiple languages,” says Muralidharan. An LIS staffer working on a common-rail engine. LIS is banking on the strength of its incredibly large India network and is already participating in the electrification of the industry. It is present in the electric rickshaw market and is adept at servicing these green three-wheelers. Essentially, the company wants to ensure that irrespective of the vehicle type or fuel, LIS remains future-ready as every vehicle needs servicing. In today’s fast-paced and tech-driven times, LIS' sales force uses mobile apps and dealers have portals where they can punch in orders directly. LIS says while a significant number of orders come through apps and portals, there is higher acceptance among consumers, even in smaller cities and towns, who are willing to go digital. Muralidharan says, “I am surprised at the manner in which India has accepted BS IV. There are absolutely no disruptions, no complaints about fuel quality or supply, drivers have learned and service providers have equipped themselves. I believe the transition from BS IV to BS VI should not be difficult. I think one of the strengths of India’s industry is that it adopts the changes extremely well. BS IV was a challenge but it’s done quite well. We should not have doubts about BS VI either,” he signs off on a very confident note.